The Dawn achieves fame and success in the 1980s, but after the murder of founding member and guitarist Teddy Diaz and years of decline, the band is finding it hard to continue playing. Middle-aged vocalist Jett Pangan's house is burglarized and he is knocked unconscious, waking up later suffering from amnesia. All he can remember is that he is in his 20's, and that it is the peak of his band's success. Jett can't quite come to terms with his situation and he insists on living as his 1980's self. 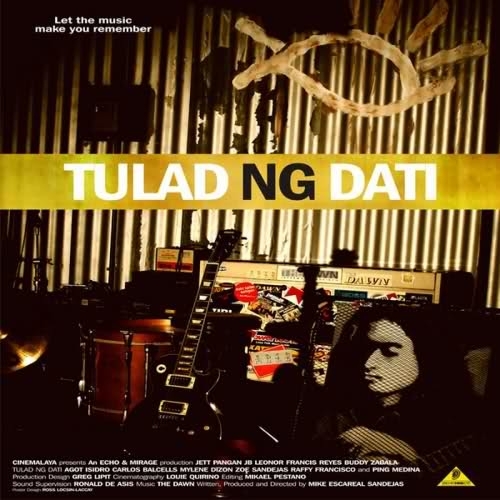 Tulad Ng Dati is a Philippine independent film released in 2006. Director Michael Sandejas, calls the film "an alternate reality musical drama". The film's plot revolves around the Filipino rock band The Dawn, and the film itself is part-documentary, part-fiction; an inadvertent tribute to The Dawn founding member and guitarist Teddy Diaz, who was murdered in 1988, shortly after the band achieved commercial success.